When you think of surveyors, miners, wranglers, and collectors, you might picture blue-collar workers in flannel shirts, dirty blue jeans, and scuffed up hard hats. The North Dakota Healthcare Workforce Group (HWG) at the University of North Dakota School of Medicine & Health Sciences (UND SMHS) surveys, collects, and wrangles, but what the group digs, collects, and processes requires more brains than brawn. The HWG is a highly educated team, made up of two research analysts, three research specialists, and two senior research specialists, all equipped with the tools needed to mine the raw rural health workforce data of North Dakota. Mandi-Leigh Peterson, MA, senior research analyst with HWG, is proud of her data processing team. She said the team is not only passionate about collecting and analyzing North Dakota rural health data, they all have the credentials to back up their work. “All seven team members have academic coursework in statistics and research methods at a master’s level or higher,” she said. The majority of the data collected are quantitative in nature. We utilize public-use data, such as products of the U.S. Census Bureau, the Centers for Disease Control and Prevention, and other national-level repositories. Peterson points out that the team has been collaborating with the Center for Rural Health, UND SMHS, and other state agencies on a variety of state and national rural health projects for more than eight years. She says it is easy for people to overlook their work because much of it happens in the background. However, organizations, decision makers, and policymakers appreciate the HWG’s ability to gather important survey information, break down the data, and make sense of the results. Tom Mohr, PT, PhD, FAPTA, associate dean for Health Sciences at the UND SMHS, said the group’s research contributes to the UND SMHS’s biennial report, which informs the North Dakota Legislature on the state of health in North Dakota. Mohr said the primary focus of the HWG is analyzing health workforce data for occupations within the state in relation to populations. He said the group has recently added another focus on North Dakota’s behavioral health workforce, which is being driven by both state and federal funding. Robin Besse, PhD, is a research analyst with the HWG team. She said depending on the project, the methods they use to mine data varies. The team often uses both primary and secondary data sets in their research. Primary data is the data the team collects for a specific purpose, and secondary data is data collected by someone else for some other purpose. Besse said there are many factors that determine how the team goes about gathering information. She said it often depends on what research question(s) they are trying to answer, the deadline and expectations of the final deliverable product, and what resources are available. For more in-depth projects, we may spend time designing a survey instrument, distributing it to respondents, and collecting and managing the data. According to Besse, the data they collect and analyze is often used to address rural health in multiple ways. She said research frequently reveals potential problems or new directions not thought of before. She added that the HWG’s research and analysis provide feedback and recommendations for future policy and are based on sound findings. Peterson agrees. She said the group takes pride in providing accurate feedback and data driven recommendations for future rural health policies. She said the team members are the experts who find the facts in the figures, the stories in the statistics, and the possibilities in the percentages. Peterson (standing) analyzes some statistics with Besse. “We analyze, compile, and disseminate the data to stakeholders to assist them with their decision-making,” Peterson said. Both Besse and Peterson admit their love of data and statistics, especially for rural health, may be considered “geeky or nerdy,” but they do not mind the labels. They identify key areas to investigate and are able to provide research that advances the field of rural health. Besse and Peterson strive to conduct research that is ethical, timely, and responsible. 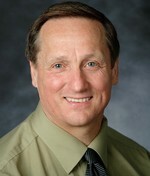 Marv Leier is the Communications Manager at the Center for Rural Health at the University of North Dakota (UND) School of Medicine & Health Sciences in Grand Forks.